Riad Lina and Spa Client Comments, Reviews and Testimonials. 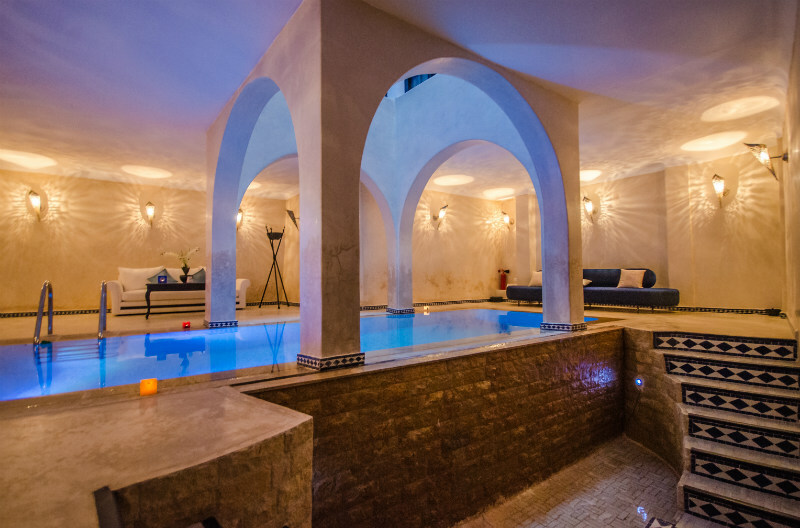 Book Riad Lina and Spa Today with Hip Morocco - Holiday Accommodation in Tangier, Assilah & Chefchaouen, Morocco. 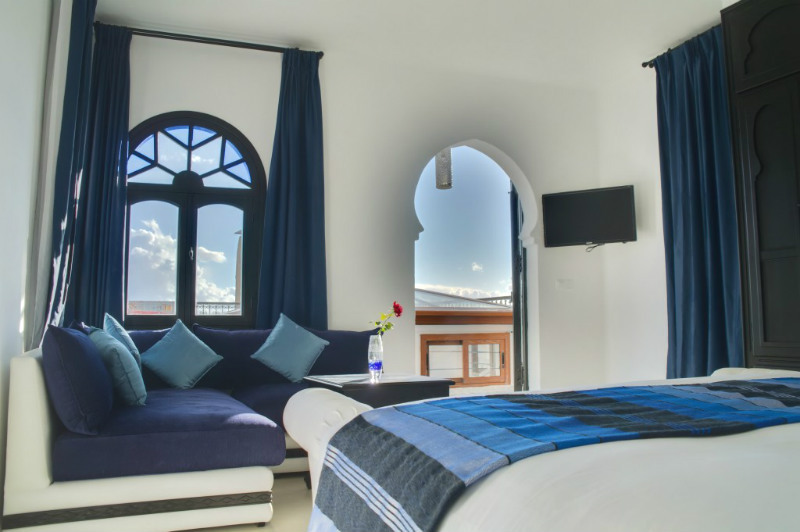 "A deeply zen like relaxing experience in the very heart of the Medina"
Chefchaouen: Perched on the top end of the medina overlooking the blue city of Chefchaouen, Ryad Lina & Spa has a fresh zen like luxury boutique hotel atmosphere throughout, for a highly personal and private stay in Chefchaouen. 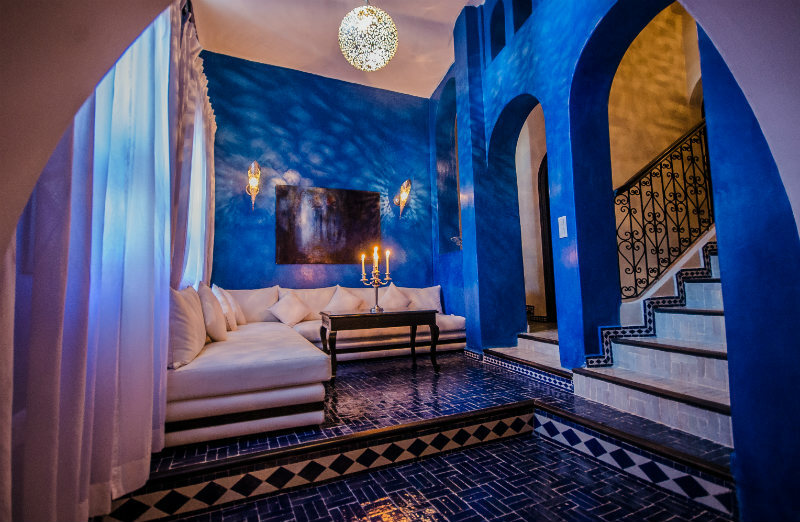 Surrounded by magnificent cerulean mountains and nestled in the heart of the medina, Riad Lina & Spa is a luxurious riad enjoying a privileged position in one of Morocco’s most unique destinations. Many of the spacious suites enjoy views of the surrounding peaks and the bustling medina with the town bell sounding from the nearby main square. 300 square meter terraces offer spectacular views, making Lina Riad and Spa a haven of tranquility. Special attention has been paid to the harmonious shapes and colors of the mountains, with dim lights and aquatic scents captivating your every glance. 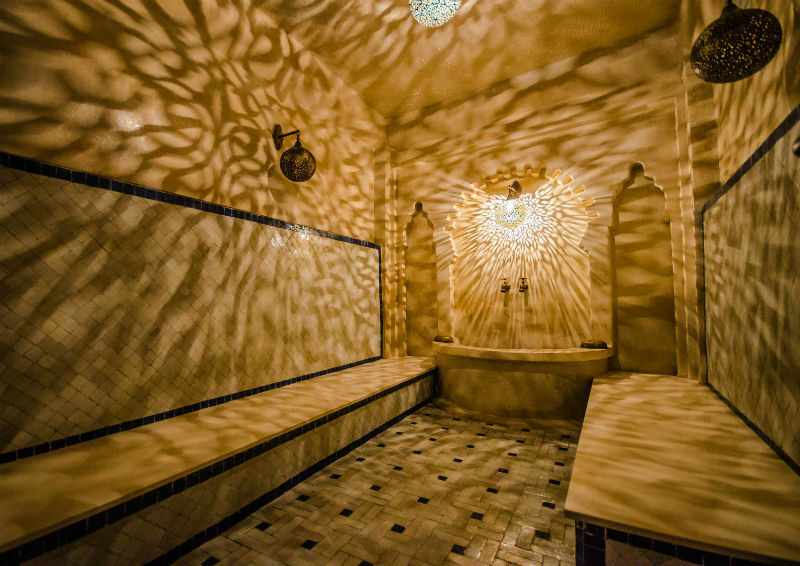 The private spa, with its heated indoor pool, oriental baths and Hammam can be booked for guests sole, a rare feature in the Riads of Morocco. 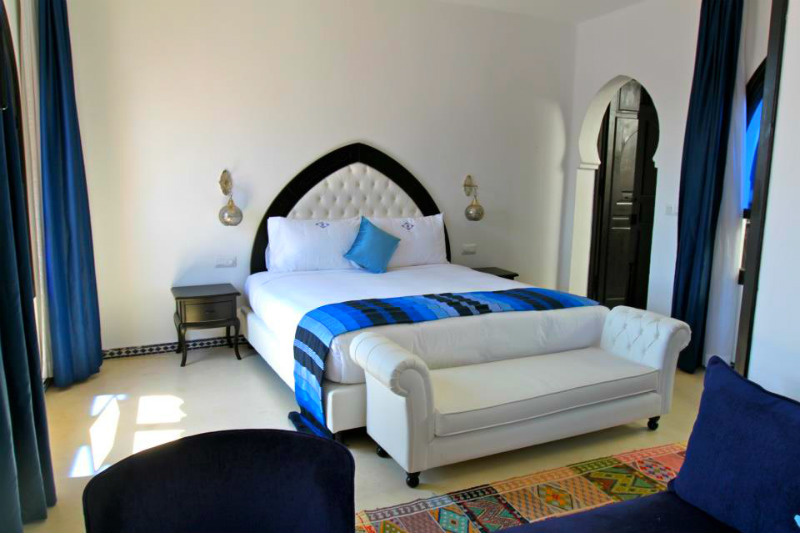 A Riad in Chefchaouen for guests seeking a deeply relaxing zen getaway in the mountains on your stay in Morocco. Rooms are fitted with plasma screens that can play any film or documentary you desire, available upon request. 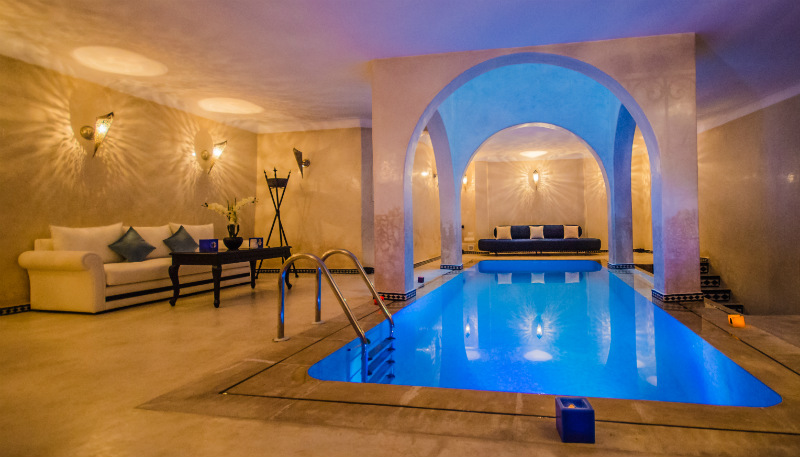 To retain its romantic character, Riad Lina and Spa do not encourage children to stay. "This is by far one of the best boutique hotels you will ever find in the world if you are an avid traveler like us. 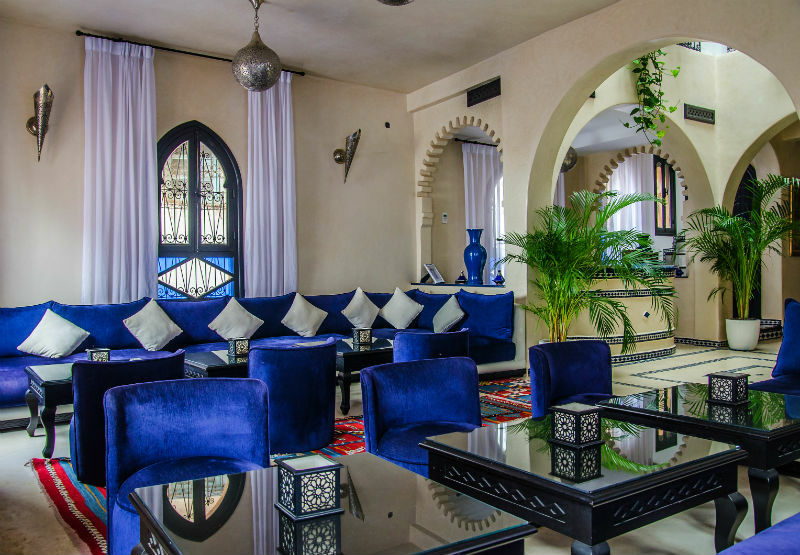 The hotel is beautifully decorated, the comfort is the same as in any five-star hotel in the US or Europe, and the service is a-la-morrocan: top-notch ! You get to talk personally to the owners - a young couple who named the Ryad after their little daughter- who attend everyone of your needs with great professionalism, and make you experience the warm and fuzzy feeling of typical hospitality in Morrocco : you feel like privileged guests! You get to enjoy a beautiful, private pool, sauna (hammam) and relaxing massage for a discounted price given the quality of service. As other reviewers said before, food is awesome and includes traditional morrocan dishes prepared by an outstanding chef. 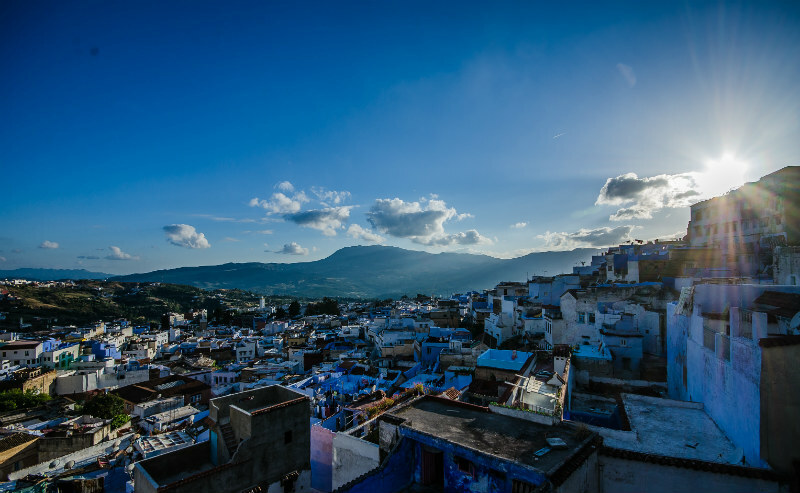 The location of the hotel is breathtaking : it overlooks most of Chefchaouen, a traditional, typically old morrocan city on the mountain. If you are looking for something radically different from big ol' polluted cities, this is the place to be. You can find very cheap typical morrocan crafts, rugs, and clothes. Definitely a place to unwind for a couple looking for a relaxing environment ! Will come back for sure !" "My sincere appreciation to the owners and their dedicated staff for their outstanding customer service. Last week, I had pleasure of staying with my husband at Lina Riad. The place exceeded my expectations in terms of aesthetics, comfort, cleanliness and location in the old city. The view from the roof terrace is spectacular; There we enjoyed a panoramic view of the Rif mountains and the old city. As a tourist, there is nothing more fulfilling than meeting local entrepreneurs like the owners of Lina Ryad who are able to provide for us - visitors - an authentic cultural experience that is guided by the highest global standards in hospitality. I should also add that I was pleased to learn that the Ryad was designed as a green structure i.e. with building techniques and practices aimed at reducing the consumption of traditional fossil fuels and energy sources. Such efforts are to be commended especially that the Ryad is located in the heart of the old city. It can serve as a model for future developers." 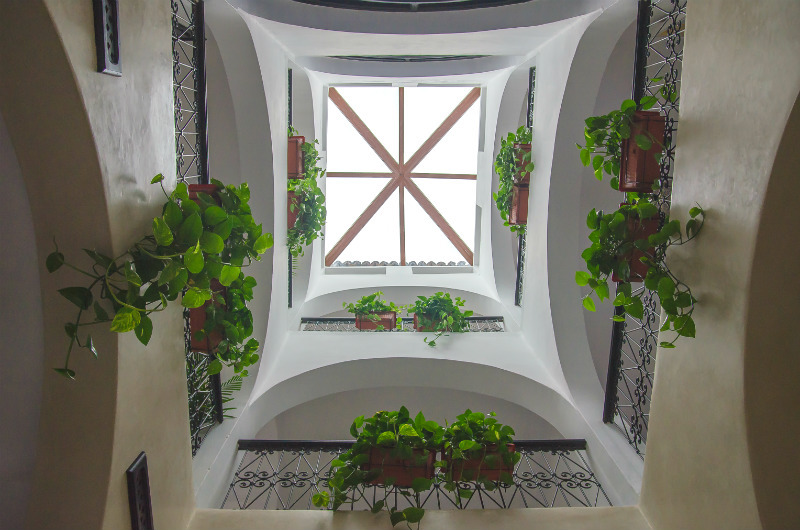 "It was a nice surprise to walk into this Riad knowing nothing about Chefchaouen. The decor was lovely and refreshing. 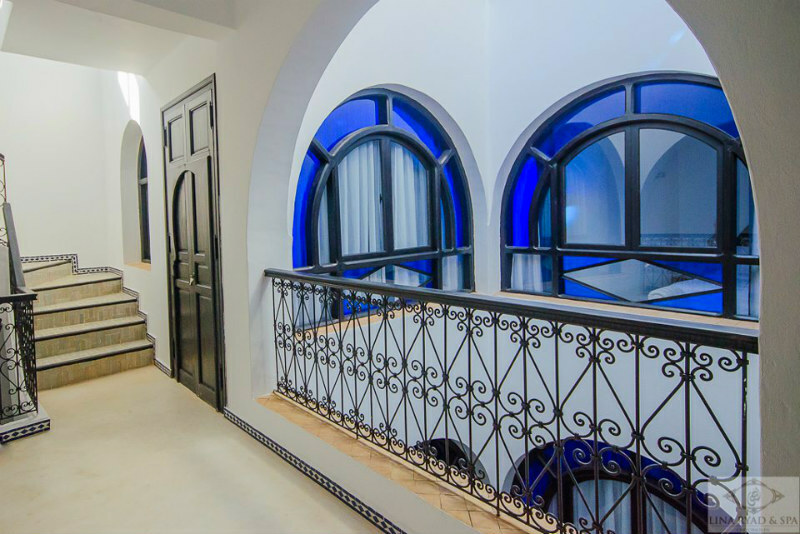 The Riad took 5 years to complete and is of very good quality. I stayed in a room on the top floor at the front on the Riad with my mother. We found it quite noisy at night but the views were very good so you have to compromise. We tried the spa facilities which looked amazing. You have to pay to use the pool as it is all incorporated in with the spa area which seems silly. We used it for free for 5 mins as this is all we needed. The Hammam was not working properly so that was taken off our bill but the massages we tried were very average. Being where it is the staff need more training to bring the place up to a better standard. Breakfast was lovely. We got an omelette and about 5 choices of bread items, tea and coffee." 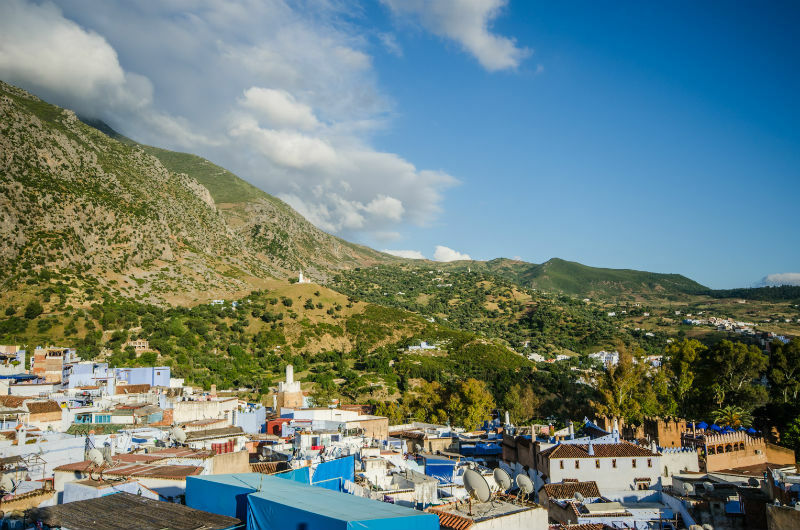 Situated a stones throw from the main square in Chefchaouen and the Chefchaouen Kasbah, with its cafes and some of the best restaurants surrounding for both locals and visiting guests, creating a vibrant and cultural atmosphere. The mountains are within easy walking distance through the top of the medina and opening out onto vast towering mountain tops. 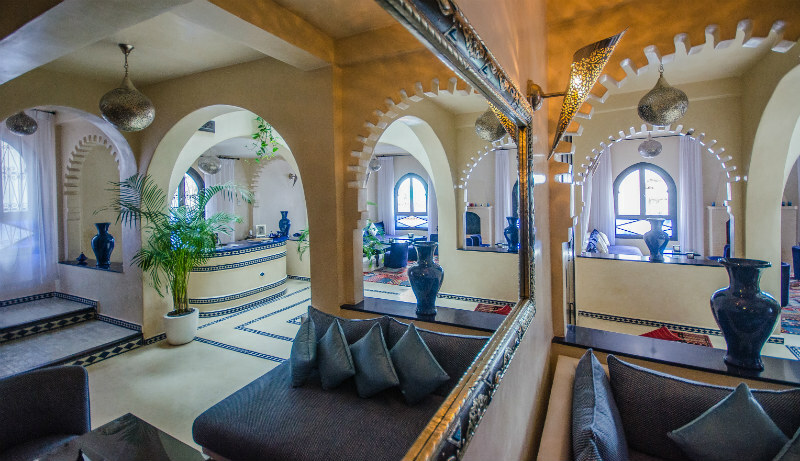 The 14 suites at Riad Lina and Spa are styled around a luxury small boutique hotel with zen like features. Suites have either a large double or twin beds and have been specially selected for their upper superior quality. Each suite has a inroom or room partitioned salon with sofa, table and chairs alongside colourful Moroccan floor rugs. The bathrooms are decorated in a light cream tadelakt with large wall mirror, shower cubicle and fresh bathrobes. 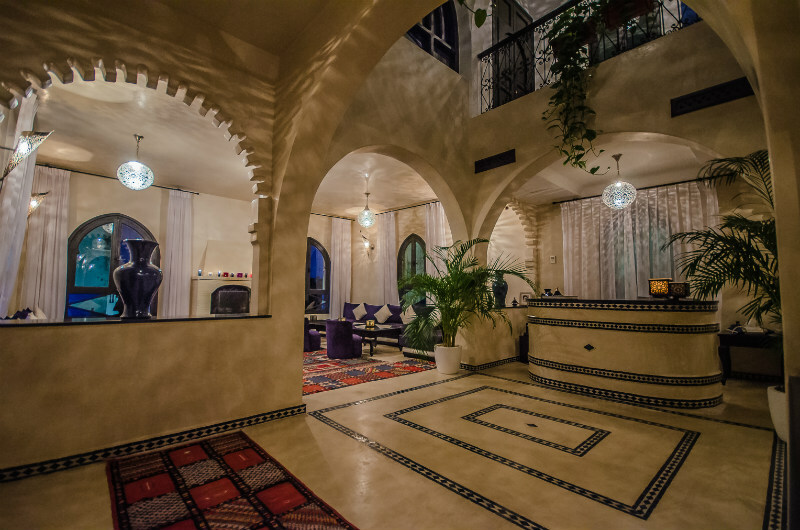 Riad Lina and Spa suites offer a deeply relaxing, sensual and private accommodation in Chefchouen and one to be remembered. 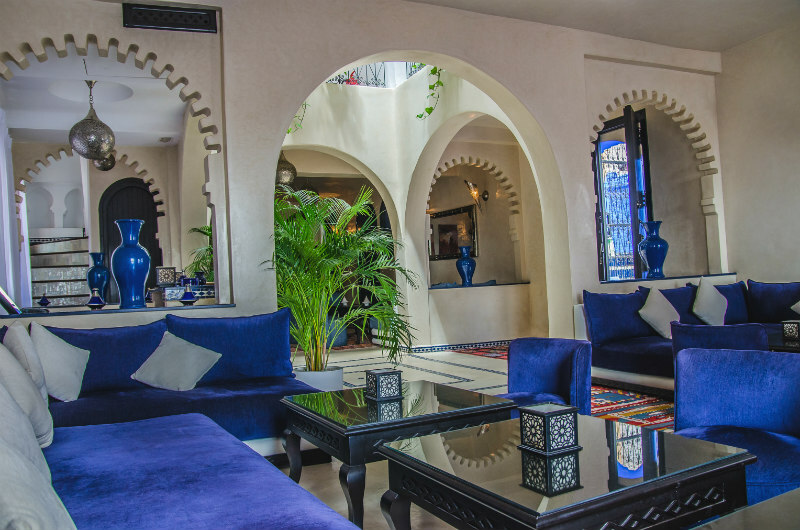 The base rate price at Riad Lina and Spa is in pounds, euros, or Moroccan dirhams and exchange rates are approximate.